I was jailed at Amritsar's Ram Bagh police station in January of 2008 on false charges & I can attest to the brutal torture of prisoners by India's corrupt Punjab police. Read about my full account of the corruption and abuse of human rights by India's police and courts towards Sikhs in my new book "Confessions of an American Sikh"
"Confessions of an American Sikh"
I also spent time in 1982 with Sant Jarnail Singh Bhindranwale at the Darbar Sahib (Golden Temple) where he was martyred in 1984 after Indira Gandhi viciously attacked the Darbar Sahib with the Indian Army killing thousands of Sikhs. I describe my personal experiences with Sant Jarnail Singh in the book too. 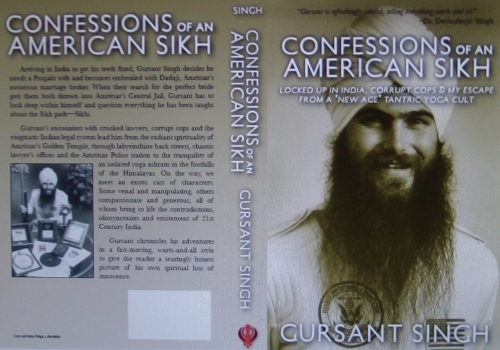 "Confessions of an American Sikh" http://www.amazon.com/Confessions-American-Sikh-corrupt-ebook/dp/B00ANSWUPM/ref=zg_bs_158529011_1.